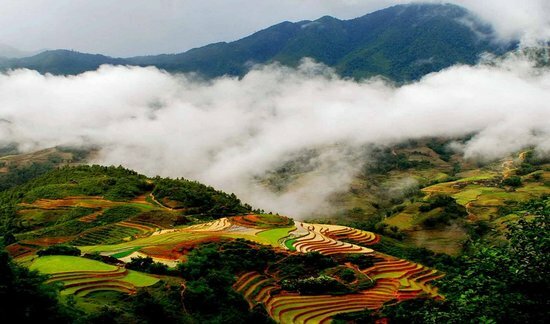 The Vietnam Tourism Development Fund (VTDF) will have an initial charter capital of VND300 billion (US$13.22 million) from the State budget, according to a draft decision on the establishment and operation of the fund. The Ministry of Culture, Sports and Tourism is drafting the decision on the establishment and operation of the fund in accordance to Article 70 of the 2017 Tourism Law. According to the draft, the fund is a non-state financial fund which has the function of managing and coordinating the fund's financial resources for tourism development activities in Vietnam. The fund, which is under the Ministry of Culture, Sports and Tourism, will receive state budget capital and other financial sources at home and abroad according to the legal regulations. Besides VND300 billion from the State budget, the fund's capital source will also include 2-10 percent of the country’s total visa fees; 3-5 percent of total tourism fees, contributions from tourism enterprises, organizations, individuals and other sources under law. The objective of the fund is to boost investment in promotion, product development, training of human resources, and improvement of institutional capacity in the tourism sector. Nguyen Van Tuan, General Director of the Viet Nam National Administration of Tourism (VNAT), said that the tourism industry has so far this year enjoyed abundant opportunities for growth. The number of foreign arrivals continued to pick up and set new records. He reported that since the beginning of 2017, the tourism sector has worked with relevant agencies to conduct a string of activities to advertize and promote tourism. In the first nine months, the sector continued to make impressive growth rate in which the number of foreign and domestic arrivals saw a year-on-year increase of 30 percent and 10 percent, respectively. In the January-September period, the country handled 9.45 million foreigners and 57.9 million domestic guests. Tourism revenue hit VND376 trillion, representing a year-on-year growth of 26.5 percent. The General Director attributed the outcomes to great efforts of travel agents which served as a bridge to connect and brings tourists to Viet Nam. In the rest of the year, the tourism industry will try to fulfill the preset goal of welcoming 13 million foreign tourists. As of September, 2017, Viet Nam had 1,780 international travel agents which have played their great role in welcoming 9.45 million foreign guests. However, the tourism industry has to spare no effort to help with realizing the preset goal of the 6.7% GDP growth pace. Nevertheless, tourism experts noticed that in Q3, in spite of high growth pace, the recent devastating floods impacted the business performance. Hence, in the rest of the year, tourism business units have to welcome 3.7 million foreign guests, equivalent to 1.2-1.3 million each month.